According to a Kaiser Family Foundation poll earlier this month, it seems that three years after its passage, opinions about the Patient Protection and Affordable Care Act of 2010 (ACA) remain divided. Interestingly, since the fall elections, Republicans seem to be slowly warming up to the ACA, while Democrats and Independents are experiencing significant disenchantment. I wonder why… So what do people dislike most about Obamacare? Obviously the individual mandate to buy insurance takes first place, and in a typical Stockholm syndrome manifestation, the second most disliked Obamacare feature is penalties for large employers that do not provide health insurance. But there are lots of other things in the law that most people seem to like. They like tax breaks for small business, closing the “doughnut hole” for Medicare prescriptions, keeping adult children on parents insurance and they like subsidies to buy insurance on the new exchanges. People even like the Medicaid expansion, and of course they like the guaranteed issue insurance. President Obama himself feels very strongly about the guaranteed issue clause as he forcefully stated in his 2011 State of the Union address: “What I’m not willing to do -- what I’m not willing to do is go back to the days when insurance companies could deny someone coverage because of a preexisting condition”. Right. So I guess we’ll have to go back to somewhere else. In November 2012 the Departments of Health and Human Services (HHS), Labor and the Treasury jointly released proposed rules to increase the permissible “rewards” for participation in a “health-contingent wellness program” from 20% to 30% of the cost of coverage (and up to 50% for tobacco use cessation programs). In other words, for group insurance markets, consisting of insurers and large employers, people can be charged up to 50% more for coverage, based on certain health contingencies. And what are these contingencies? In order to avoid the withdrawal of said “rewards”, one only has to participate, voluntarily of course, in “wellness programs that require an individual to attain or maintain a certain health outcome in order to obtain a reward (such as not smoking, attaining certain results on biometric screenings, or meeting targets for exercise)”. And if the employee has coverage for a spouse or children, the same “health-contingent” opportunities are available to the family, although no clear decision has been made whether to penalize the entire family, or just baby Kyle, if he fails to get his BMI under the evidence-based recommended standards. To protect “consumers” from something that looks very much like wanton discrimination, the proposed rule sternly (and ad nauseam) requires that these schemes must be “reasonable”. To be fair, “absence of rewards” based on health-contingent wellness programs, have been permitted since 2006. The new rule just increases the allowed size of rewards that can be withdrawn by group plans from 20% to 50%. By the document’s own admission there is no evidence showing that these wellness programs are effective and the Departments do not expect too many people to actually enroll. The cost analysis in the proposed rule expects minimal benefits and minimal costs and transfers, falling mainly on individuals who fail to meet “standards”. So if the benefits are expected to be “minimal”, why are we promulgating new rules? Well, there is a little math that needs to be considered here. Prior to the brave new world of ACA, large employers and group plans were prohibited from denying coverage or jacking up prices based on an employee’s preexisting conditions, and as long as an individual and his or her family maintained continuous group coverage, preexisting conditions were not a material factor. Preexisting conditions were an onerous consideration for those shopping for health insurance in individual markets. Since the ACA prohibits insurers from severely overcharging a few sick people, perhaps we can slightly overcharge many people and still come out ahead. For this to work we need to find some acceptable criteria for overcharging people, and taking a lesson from Don Corleone, we need some “buffers” to scour HIPAA protected employee health information. So how about being fat, or being a smoker, or being a non-compliant patient? Unlike being black, or being female, or being gay, which were all acceptable criteria for discrimination at one time or another, obese smokers who look bad and smell bad seem like a reasonable place to start withdrawing “rewards”. If this becomes acceptable, and if the financials look promising, we can move on to the other possibilities of a “health-contingent wellness program” (i.e. “A program that uses a biometric screening or a health risk assessment to identify employees with specified medical conditions or risk factors (such as high cholesterol, high blood pressure, unhealthy body mass index, or high glucose level) and provides a reward to employees identified as within a normal or healthy range for biometrics (or at low risk for certain medical conditions), while requiring employees who are identified as outside the normal or healthy range (or at risk) to take additional steps (such as meeting with a health coach, taking a health or fitness course, adhering to a health improvement action plan, or complying with a health care provider's plan of care) to obtain the same reward”). Now that we have a hunting license for previously forbidden grounds, we can take away “rewards” from people with not only preexisting conditions, but also from those with non-existing conditions that may develop into preexisting conditions at some unspecified future date. So for example, if your health risk assessment states that inability to sleep due to financial concerns is most likely to lead to depression when your wages are cut again, and if you refuse to comply with the Cymbalta plan of care dictated by a health care provider, or refuse to provide evidence of such compliance, or are unable to pay your high deductible for the drugs, no “rewards” for you. According to the United States Census Bureau, there were over 120 million people employed in 2008 in the U.S., and over 61 million of them were employed by the 18,000 firms with more than 500 employees. In other words, over 50% of American workers are employed by the 0.3% of firms that are considered large employers. Other than this statistic being frightening on its own, it also illustrates the magnitude of potential returns from withholding small to medium “rewards” from workers not adhering to “standards”. A quick back of the napkin calculation (assuming 30% non-standard workers and dependents, not rewarded to the tune of $1000 per year) yields approximately $20 Billion per year transferred from increasingly poor working people to large corporations. It’s not a fortune when divided up between all corporate interests involved, but I bet it’s better than what they made from the preexisting conditions racket. This takes care of the money, but how about saving lives? Is it possible that the “health-contingent” wellness games actually save lives? In an article in the March 27 issue of NEJM, several researchers funded by big corporations and holding equity in a very big corporation, argue that indeed “these policies may also save lives”, and not just the wellness rewards, but also flat out not hiring people who for example are smokers, because “in the long run, such policies may indeed be for their own good”. Yes, reducing already depressed wages, and unemployment in general, have been repeatedly shown to be good for you, in the long run, and to have most beneficial effects on your overall health. To paraphrase Marine Colonel Nathan Jessup in A Few Good Men, while grotesque and incomprehensible to you, these policies save lives! …and money. People who become unemployable due to legal, but very stupid, lifestyle choices will either end up on Medicaid, where taxpayers will pay private corporations for their care, or buy insurance on the new ACA exchanges, where taxpayers will subsidize their purchases from private corporations. Win-win. In the real world of software design, this would be a good place to seek validation for our thought process. We can do that here too although we have no real users. A recent issue of JAMA Internal Medicine contains several papers dealing with misdiagnosis in primary care. The main study conducted at the VA concludes the following: “Diagnostic errors identified in our study involved a large variety of common diseases and had significant potential for harm. Most errors were related to process breakdowns in the patient-practitioner clinical encounter. Preventive interventions should target common contributory factors across diagnoses, especially those that involve data gathering and synthesis in the patient-practitioner encounter” [emphasis added]. In particular, those process breakdowns were mostly related to “taking medical histories, performing physical examinations, and ordering tests”. If you reread Part II in particular, it seems that we are on the right path. Although the study attributes these problems to the “relatively brief encounters” now common in primary care, neither the study authors nor the invited commentary dare suggest that we allow proper time for each encounter. 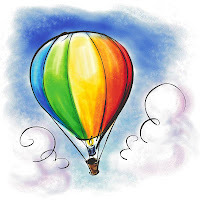 Instead, the search is on for all sorts of methodologies, checklists, “metacognitive retraining”, and finally “mandatory, structured recording and coding of presenting symptoms, rather than simply diagnoses, in our electronic health record systems” [emphasis added]. All this “without dramatically reducing efficiency”, i.e. without increasing the time a primary care doctor is allowed to spend with a patient. Here we are reminded of the common wisdom of software developers that suggests asking users to describe their problems, but never, ever, allow them to come up with solutions. No more beating around the bush then. At this point we must tackle information recording at the point of care, or as fondly known by its practitioners, data collection (usually followed or preceded by unprintables). Note that we are insisting on usage of the term “information” instead of “data”. As far as computers are concerned, information comes in only one flavor: zeros and ones. We, on the other hand, have become accustomed to defining information as structured or unstructured, where structured information is considered computable, i.e. it can supposedly be analyzed by computers. This however, is not a material difference because computers can analyze all information to various degrees, depending on analyzing software capabilities. Primitive software is only capable of analyzing information provided in a predefined (in the software) content and format, but as software science advances, computers are becoming less dependent on the user to predigest and preformat their input into the software (at one time, you actually had to enter electrical signals for ones and zeros in order to have the computer do anything useful). So the structured vs. unstructured information debate is all about yesterday’s computers vs. tomorrow’s computers. We will build our imaginary EMR for tomorrow’s computers, some of which are already here today. This is our first technology decision: We are requiring a contextual parser and processor of information that can accept input from all known modalities (keyboard, mouse, microphone, camera/video, stylus, touch/gestures, and electronic interface). Here we refer to our #1-d requirement, which seems pertinent, and task an imaginary system analyst to call IBM. Simple electronic versions of charts have not done much other than replace hand writing with keyboard typing and mouse clicks. For physicians who type well and are relatively comfortable with computers, or those who routinely dictated everything, these simple EMRs did not violate our #4 requirement. The more elaborate EMRs, took upon themselves the noble task of speeding up the documentation task (years ago there used to be speed contests between EMRs at trade shows). And they did that by using electronic stilts. If you ever tried as a child to master circus stilts, then you know that they allow you to take much longer steps and cover a lot more ground in shorter times. The caveat though is that you will most likely experience several bruising falls while you train yourself to use the stilts, and that you can only use them for short periods of times on perfectly flat surfaces. The flexibility built into your legs and feet by millions of years of evolution, enabling you to see and respond to details and uneven ground is pretty much gone, so if you try to use circus stilts in everyday life, you will probably find it to be a handicap rather than an advantage. What we really need is shoes. Walking shoes, hiking boots, tennis shoes, cleats, basketball shoes and maybe ballet slippers, all in different sizes and widths, colors, materials, support and price ranges. For primary care, we likely need a good pair of cross trainers. Ability to record and translate to text all verbal exchange during a patient encounter. This includes the ability to identify the parties engaged in dialog and appropriately classify the information as objective or subjective (patient reported), and the ability to accept addenda to an encounter through multiple modalities (in case you are wondering, this technology already exists). Ability to accept electronic input from all medical equipment used in the practice, without any human intervention. 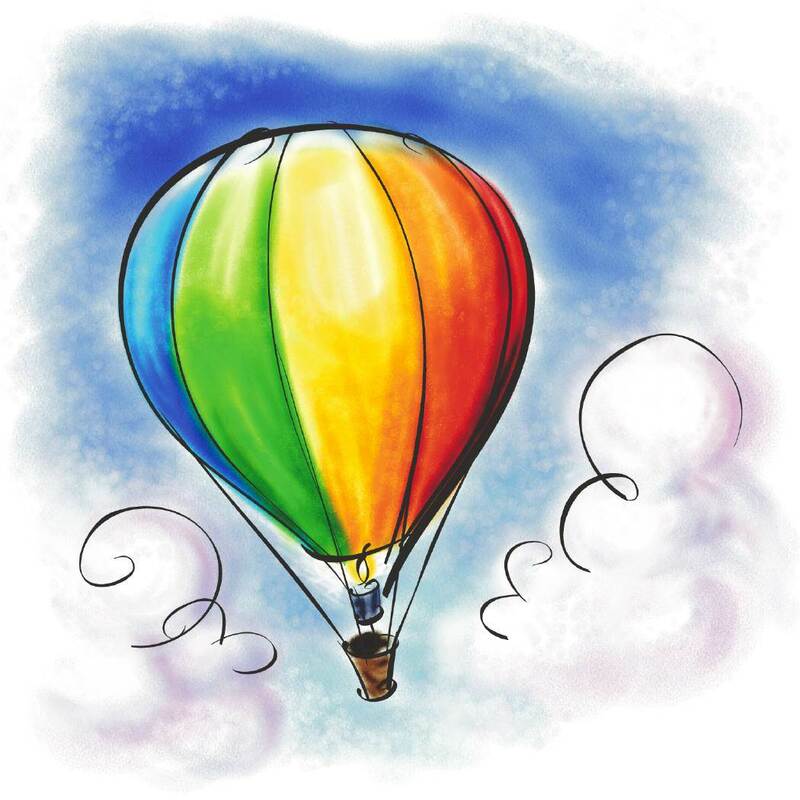 Ability to create electronic forms dynamically, from scratch or based on scanned paper forms, including drawings, and ability to modify these as needed. Ability to accept input from keyboard, mouse, pen/stylus and voice for all form fields without exception and without prior setup or notice. When correctly combined the last three functionalities should do no more than transport the paper chart methods of documentation to a computer screen, nothing more than a glorified Microsoft Office for medicine, while the most difficult functionality in #1 should provide our intelligent processor the context necessary to augment and perhaps in due course replace the need for deliberate documentation. Note that we are in no way restricting our users to a particular subset of their natural language. Somewhere deep in the bowels of our contextual processor there will be vocabularies, ontologies, terminologies and synonyms, but our imaginary development team does not believe that it is the responsibility of the user to adapt to the machine. We are on a quest to develop intelligent machines, not robotic people. 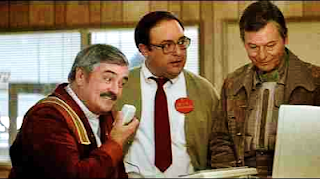 I can practically see the raised eyebrows of those who want to measure, analyze and provide clinical advice to practicing physicians, contending that most EMRs fail to be useful precisely because they are just electronic paper charts. Strangely enough the much touted electronic media and all its blogging/social media offshoots are doing quite well in spite of being just electronic newspapers and pamphlets, and this revolutionary transition would have failed miserably if we required authors to create content from dropdowns and checkboxes. The true power of transitioning paper to electronic media comes from the inherently better accessibility and portability of electronic media, and from the ability to insert ever improving computerized synthesis underneath the familiar look and feel of paper. As we move on to our #2 requirement and define our specifications for synthesizing and serving information, it should become apparent that although inconveniencing the user is one solution to the very difficult problem of information synthesis, it is most likely not the best solution. We spend a lot of money on health care in the U.S., but we spend a lot of money on other amenities as well, so how do we know if we are spending too much money on health care? The phrase too much implies a frame of reference and some sort of valuation; too much for too little value, or too much compared to others, or both. Leaving aside the ideology of who should pay for what, the only thing that is increasingly obvious is that other developed nations, a natural frame of reference, are spending at most two thirds of what we do and their health results are as good, if not better than ours. You would think that the next logical step would be to observe how these other nations finance and deliver care, and apply lessons learned to our system, and there is no shortage of observational studies, surveys and reports. Since health care is a huge and complex beast, perhaps the best place to start is primary care, which, as its name implies, should be the point of entry into any health care system. As it turns out, the Commonwealth Fund has a great survey of primary care physicians administered in various developed countries around the world, and in 2012 they published the latest one in Health Affairs. The survey includes 11 developed countries, Australia, New Zealand, the United Kingdom, France, Germany, Switzerland, the Netherlands, Norway, Sweden, Canada and the U.S. The international primary care survey can be broken down into areas pertinent to the trifecta of our health care reform efforts: provide insurance coverage to all citizens to improve access and reduce financial barriers to care, measure health care delivery and reward quality performance, use health information technology to enable cost-effective health care. There seem to be countries more advanced in adoption and availability of Health IT amongst primary care physicians, but there are also plenty of other developed countries that lag behind the U.S. The same is true for online patient access and exchange of clinical information between care facilities. Note that the exchange of discharge summaries and specialist reports does not necessarily imply the existence of EHR interoperability as we define it, and as we bemoan its non-existence, in the U.S. The survey only asked if the information was available, not how it was made available. 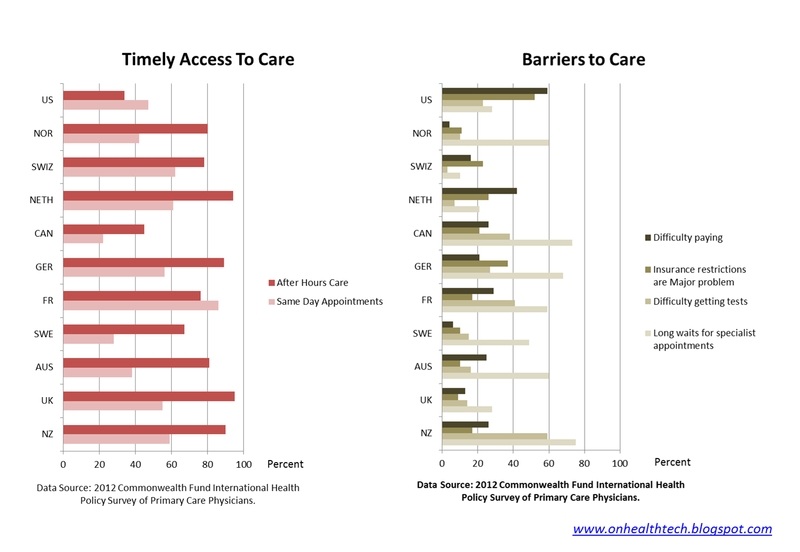 Another observation we can make is that our three graphs do not exhibit the same behavior, which means that nations that have high EHR availability are not necessarily better at exchanging clinical information or at giving patients online access to basic transactions. We could go on and examine each data point in detail, but the immediate conclusion must be that there is practically no correlation between Health IT, including exchange of clinical information, and the cost-efficiency of health care in this cohort. We should also note that there is no one metric for which the U.S. ranks dead last. How about quality? Is there a correlation between advanced health IT and better quality of care? The primary care survey does not provide an answer, so we add the 2012 OECD health care costs, utilization and outcomes data report, and pick a comprehensive measure such as Mortality Amenable to Health Care. France, which has the lowest rates of such mortality is also one the countries with less than stellar health IT, while the UK and New Zealand which are armed to the teeth with EHRs have some of the highest avoidable mortality rates. Obviously the U.S. is worse than any other developed OECD country. Measuring and paying for quality – This is the other major campaign conducted by CMS because it makes sense to “align incentives” and replace “volume with value”, which is another name for reducing utilization of services across the board. Of course, only financial incentives are considered, because innovative modern thought does not recognize any other types of incentives. Here we see an interesting picture. 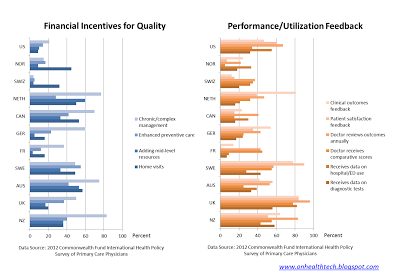 While the U.S. is comfortably in the upper middle of the pack when it comes to measuring performance, it is also one of the stingiest when it comes to actually paying out incentives. Either way, the U.S. is not an outlier for any of the metrics included in this category. 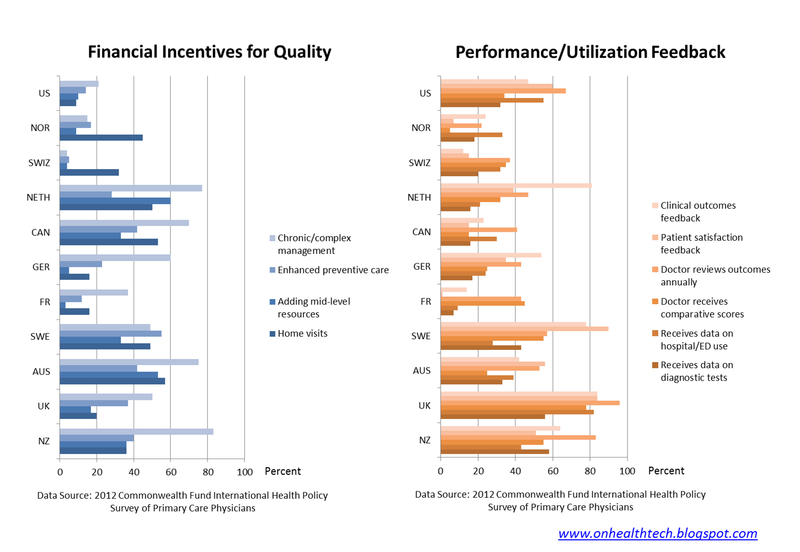 Similar to Health IT, countries who measure more and/or pay out more incentives are neither less expensive nor do they have better quality metrics. 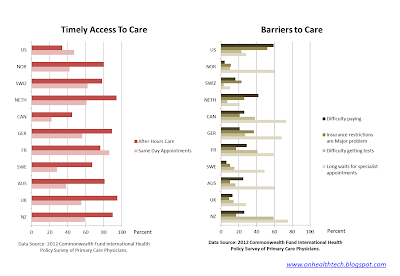 Access and Barriers to Care – The common wisdom says that nations with universal health care, a.k.a. socialized medicine, are by definition doomed to suffer from poor access to care, such as long waiting times for appointments. In contrast, countries where health care is market driven will have no queues and no shortages. Unfortunately, since we all live here in addition to just looking at graphs, we all know that some doctor appointments are not as abundant as we would like, and the graphs below confirm this perception. First, it seems that obtaining care after business hours is much harder in the U.S. than in any other country, while the ability to see a primary care doctor at short notice in the U.S. is middling at best. On the other hand, obtaining a specialist appointment requires less waiting in the U.S. compared to most other countries, but not all (the Swiss and the Dutch do better on all counts). When it comes to financial barriers to care the U.S. reigns supreme as 59% of America’s primary care docs report that their patients often have difficulty paying out-of-pocket costs. Another uniquely American barrier to care is posed by insurance coverage restrictions which create major time concerns for U.S. doctors. So where is our quasi-scientific discussion taking us so far? Health IT does not seem to be a significant differentiator between the U.S. and the more efficient countries surveyed, and neither is measuring performance, or quality. Incentives for personalized services such as chronic care and home visits are generally lower in the U.S., and so is timely access to primary care doctors. Compounding an existing access problem are the significantly higher financial difficulties of Americans to pay for health care services, and restrictions on medical practice imposed by insurers. Comparing these observations with the stated goals of health care reform in the U.S., one would be inclined to conclude that other than extending health insurance coverage to all U.S. citizens, we are pretty much wasting our time and resources, if our goal is to achieve the better results enjoyed by other developed nations. This is not to say that computerizing medical records, exchanging clinical information, or providing electronic services to patients, are not worthwhile endeavors, but we should understand that investments in Health IT are not related to either reducing health care costs or improving quality at this point. It seems logical, and we can certainly hope, that better IT will lead us to health care improvements, but hope is all it is, and there is no real evidence to support this assertion, given the current state of technology. Investments in Health IT should be viewed as a long term proposition, definitely worth researching and exploring, but expensive and often centrally planned massive Health IT deployments have been anything but cost-effective not just in the U.S., but also in the UK and Australia. Timely access to primary care is often discussed in the U.S. and largely attributed to a shortage of primary care physicians. Why the richest country in the world, who pays the most to its physicians, is experiencing a shortage of doctors reminiscent of third world countries, particularly in an era of globalization and workforce mobility, remains a mystery to me. Even more mysterious are the proposed solutions to said shortage, such as redefining primary care away from traditional doctors to less educated resources and other professions such as pharmacists and optometrists. Here is something to ponder for those considering moving the goal posts of primary care: in the Netherlands, for example, approximately 4% of primary care visits result in referrals to secondary care. Our obsessive-compulsive efforts to measure performance of primary care is a slightly different problem because we are approaching measurement with a clear intent of reducing service utilization, as in “replacing volume with value”, fully knowing that U.S. utilization is already lower than most other countries (with a few notable exceptions that should be addressed individually), and with a non-existent definition of “value”, other than mid-point process metrics. However, paying primary care physicians for value added activities such as chronic care management (with or without a quality component), or for making house calls, should probably exceed the levels paid in other countries considering the higher prevalence of chronic disease in the U.S. and its disproportionate contribution to total health care expenditures. And while we’re on the subject of volume and value, it may be useful to peruse the Appendix of the Health Affairs article and/or another great Commonwealth Fund report, International Profiles of Health Care Systems, 2012, and see how the scourge of fee for service in the primary care cottage industry is dealt with in countries with lower costs and better health outcomes. Surprisingly, in all but one tiny nation, primary care is delivered by physicians in small private practice, paid mostly fee for service, and this includes bastions of government run health care like the UK and Canada. Perhaps the architects of health care systems in those countries understand that a system without checks and balances is bound to spiral out of control, and perhaps they understand that independent primary care, serving in the dual role of medical advisor and patient advocate, provides exactly the checks and balances required in every healthy system.